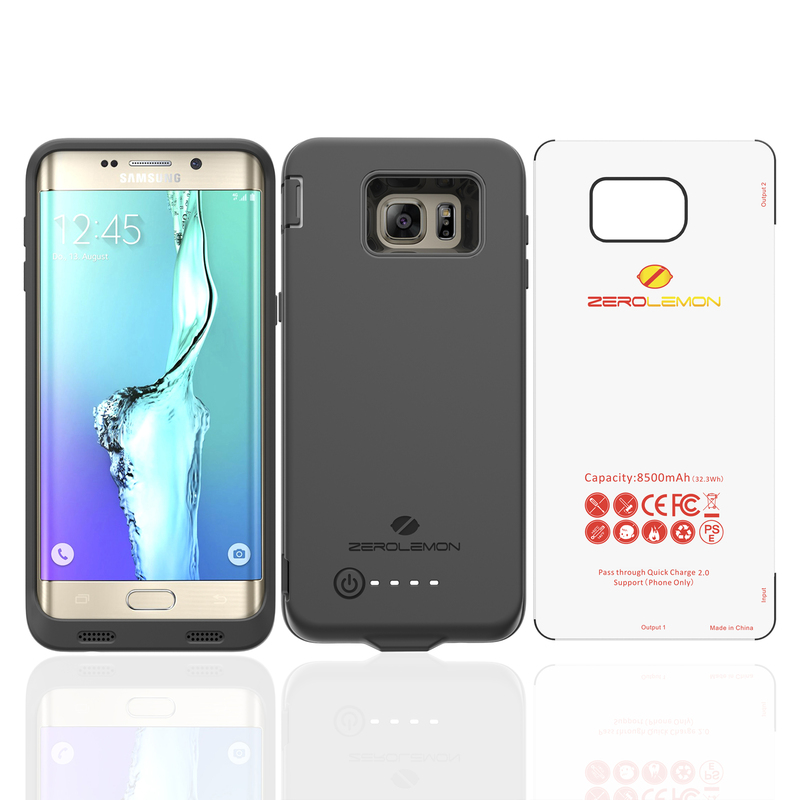 The world’s highest capacity Galaxy S6 Edge Plus Battery case @ 8500mAh. 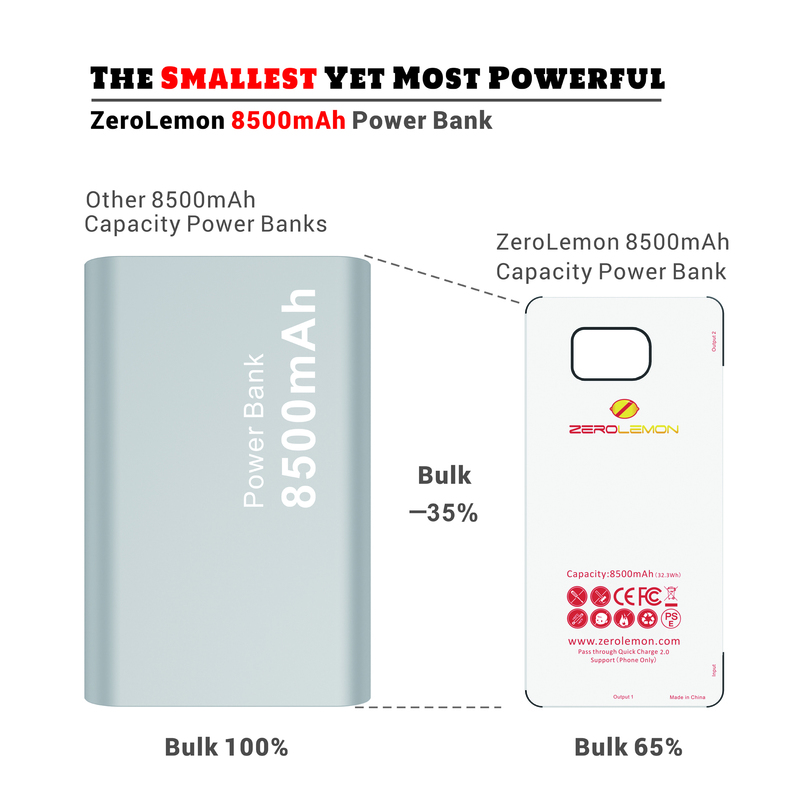 More than 3 times the original capacity & slimmer than other manufacturer’s extended batteries. 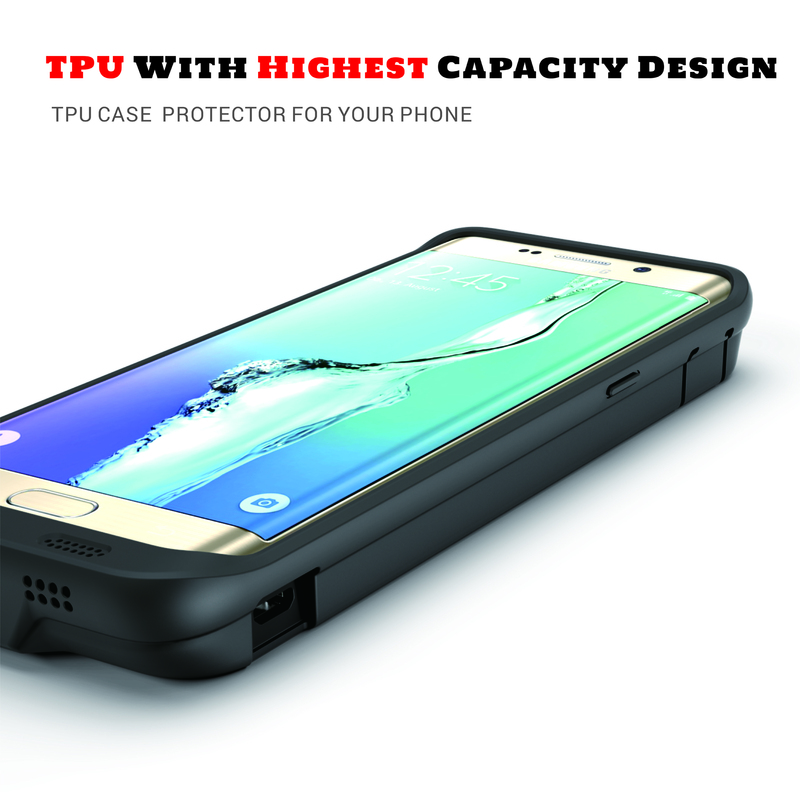 Compatible with all Galaxy S6 Edge Plus models. 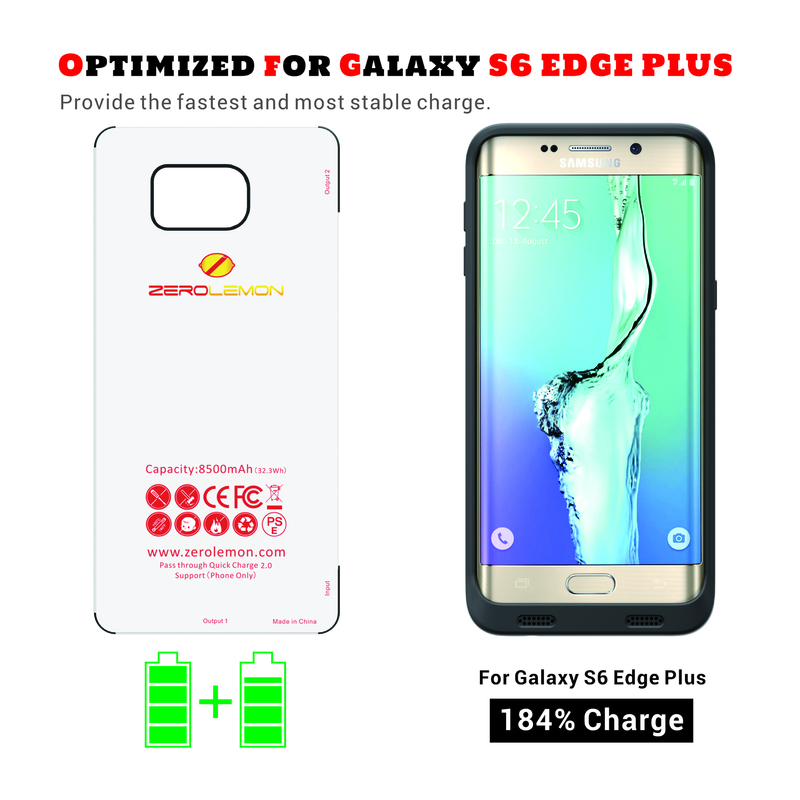 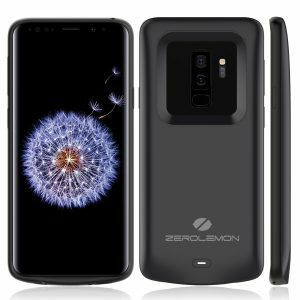 Optimized for Samsung S6 Edge Plus, this battery case will cut off the output to prevent overcharging and overheating to protect your phone and the battery case, and provides the fastest and most stable charge for the Samsung S6 Edge Plus. 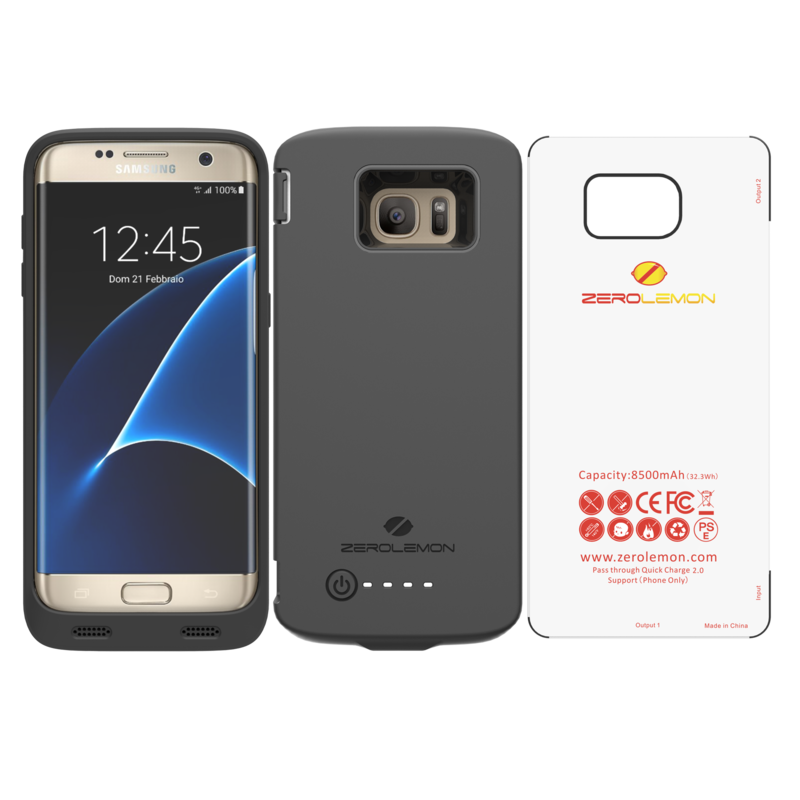 Pass through Quick Charge 2.0 Support (Phone Only). 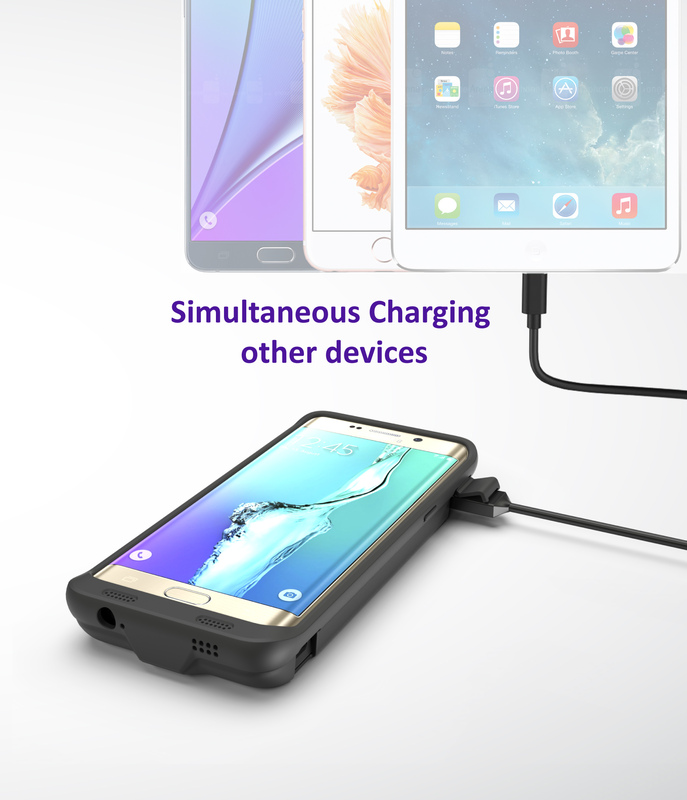 Special-designed external shared charging function allows charging of another device simultaneously. 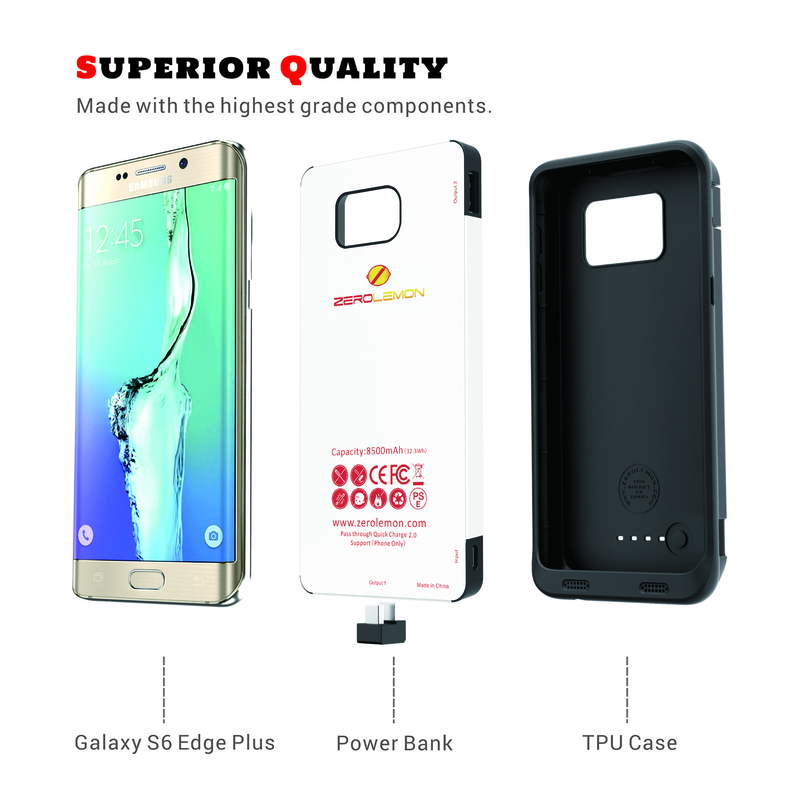 Offers up to 184% extra battery life. 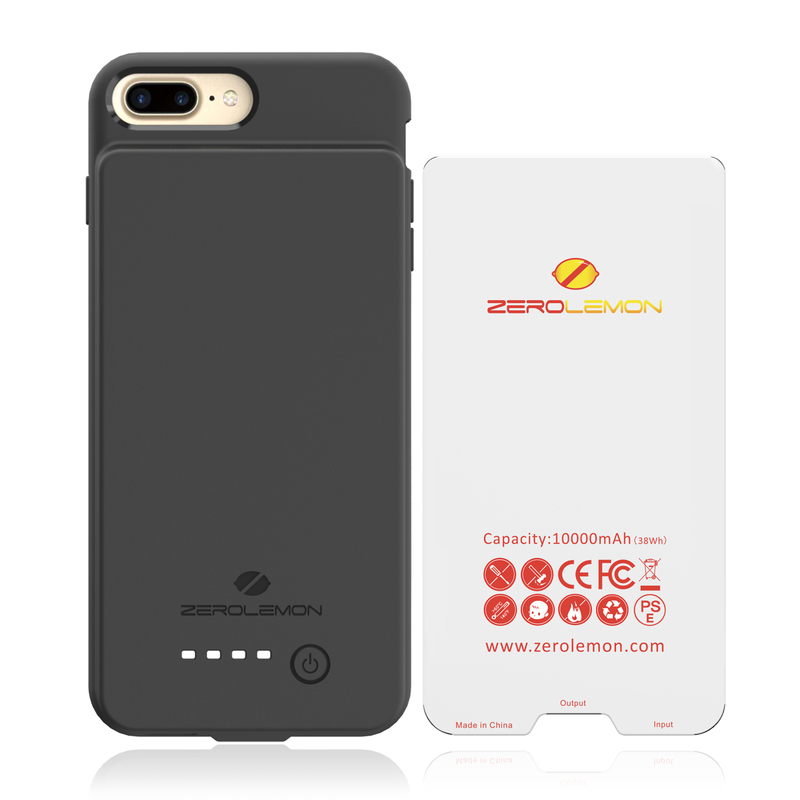 Prevents your phone and the battery case from overcharging and overheating. 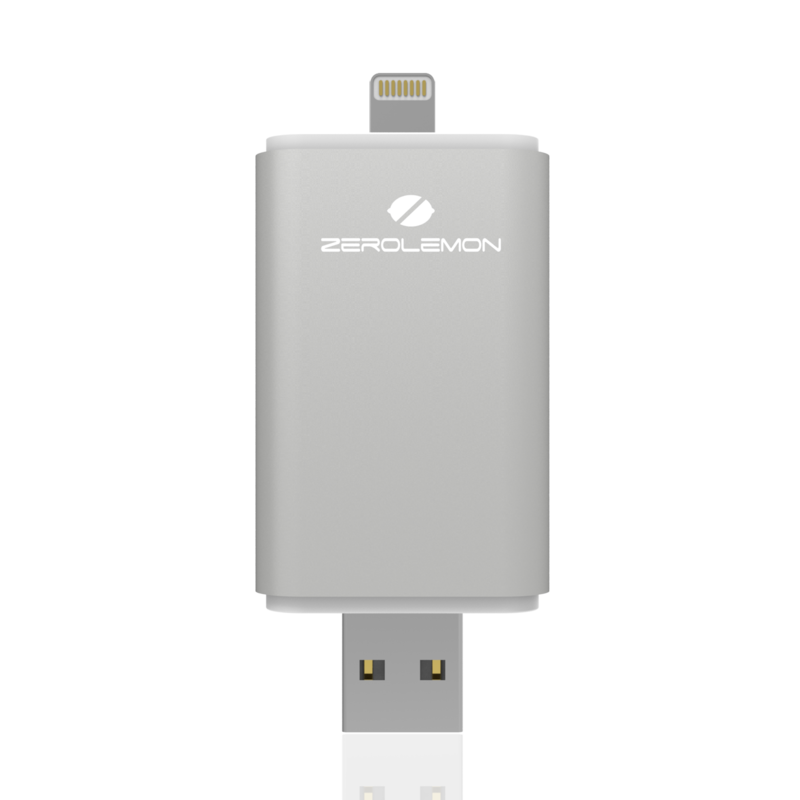 *Actual battery life will vary depending on your specific hardware and software configurations and network conditions.